Fast & fully optimized Multipurpose Responsive WordPress Themes with unlimited options, easily create a unique website with the help of modern features (HTML5 & CSS3) and beautiful elements. All WordPress themes are built to be responsive so that it will be compatible on any device such as smart phone, tablet or desktop. In this article all e-Commerce themes come-up with WooCommerce plugin, perfect for your e-commerce website. All themes have great design and an SEO-friendy, with which you can achieve a remarkable e-commerce experience for your website. Malefic is an awesome looking one-page and multipage WordPress Theme with a unique portfolio which is suitable for artists, photographers, creative agencies, digital studios, personal freelancers, and any kind of business owners that would like to showcase their portfolio beautifully. FlyPages is designed to give you a New Way To Landing Page Building Experience. Included in the theme are multiple marketing options and measuring tools to create & customise modals and measure their performance right through the backend without using third party plugins. Other features include prebuilt demos, Newpaper’s Arrow Builder, multiple navigation options, custom post formats, banners, social icons and advanced typography. Skylar is fast, optimized and multi-purpose highly customizable WordPress theme with stunning demos & powerful tools which help you to create own design without paying thousands of dollars. It gives you powerful toolset to create website which are still unique, despite the nature of repetitiveness of the themes. Rebel is a Minimal portfolio WordPress Theme built with HTML5 & CSS3. It is perfect for corporate,agency and business web site. Wage is a stunning, professional and flexible Financial Business WordPress Theme specially designed for financial companies, financial firms, investment, tax-related, legal help or any kind of business. We’ve designed specific corporate demos & pages ready for you to use and launch your new website easily. Coill is a elegant, luxury and trendy WordPress Business & Agency theme. It is a very simple, clean and minimalist theme. It perfectly suited for the website of agency, studio or personal page of designer, developer, photographer, freelancer etc. The theme looks great and it will appeal to fans of minimalist style. theme content is based on Bootstrap System. Bikeway is a great start for and online sport shop. With Bikeway’s custom customizer options you will be able to set any layout, any color and any font for your theme. The theme comes with a set of premium plugins to extend the default WordPress and WooCommerce functionality thus enabling to setup your sport shop in a unique way. We offer one on one premium support and installation services. Powax is a Creative WordPress one page Themes best suitable for creative agencies, studios, digital design agencies or other similar business. Powax will help you to make any website like creative startups, professional photographer, portfolio agency or other business very easily as it has been coded in Bootstrap and CSS3. Bagze is a new theme designed for Bag shop. This theme include many great features like mega menu, slider, page builder, product quick view, wishlist, compare, zoom. It suits for your fashion store. You can show your product in nice ways like carousel sliders, tabs. PersonX is a clean & minimal personal portfolio & blog theme, PersonX is suitable for individual’s, freelancers, graphic designers, photographers or any kind of creative institution or person.It looks great on tablets and mobile devices due to its responsive design and retina graphics. PersonX comes with lot of useful components, it includes unlimited color schemes, huge theme options, drag and drop content editor and more. Asoda is a business theme designed specifically for business, finance, consulting services. Can be also successfully used for corporate site, blog site, ecommerce site, portfolio and many more. It’s created by using the latest HTML5 and CSS3 techniques in accordance with the latest WordPress Coding Standards. Fits all popular mobile devices and tablets. Bravers is Multipurpose WordPress theme which can be used for Corporate, Startup or any Agency sites.We built this theme on Visual Composer, a very convenient drag-n-drop PageBuilder for WordPress. It should provide you with the smoothest experience while creating your website with our theme. The wordpress theme is responsive, you can view it also in the mobile/tablets devices and it looks very in more devices. Tico theme is modern and professional business WordPress theme with fuly responsive design. A great candidate for any type of website, for personal or business use, Tico is easy to use and highly customizable. Designed with user friendliness in mind, Tico sports a distinctly unique, modern look. 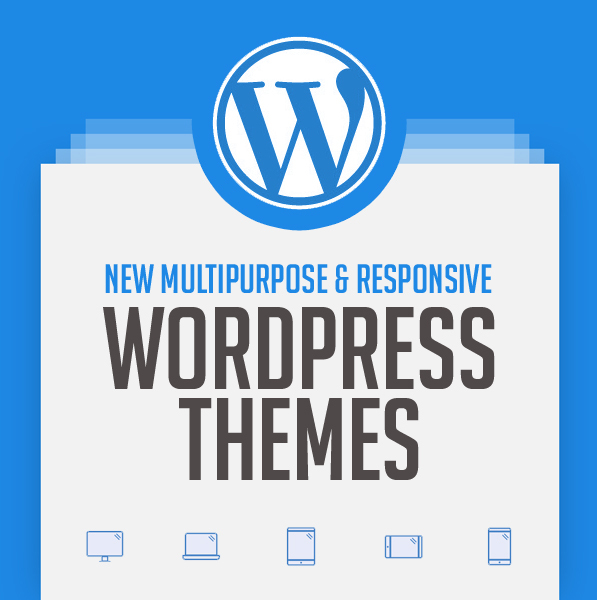 The theme has its own super powerful theme control panel with lots of useful options and tools to manage your site: Page Builder, slider sliderlayer, etc.